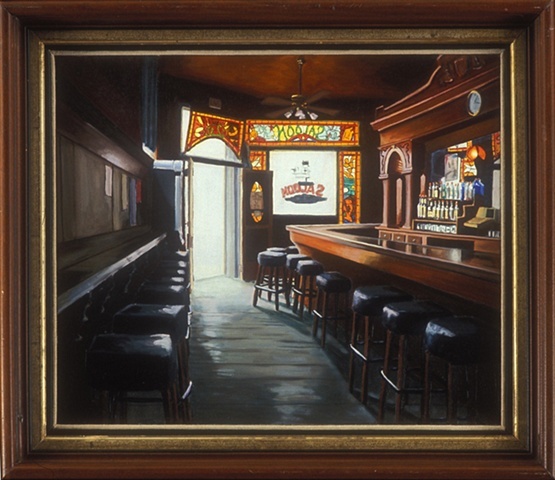 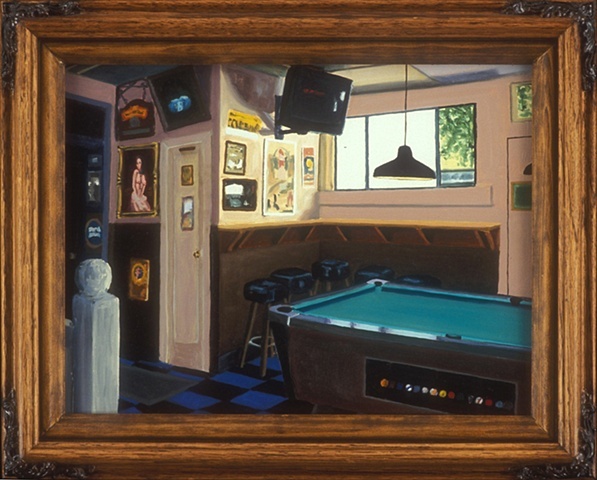 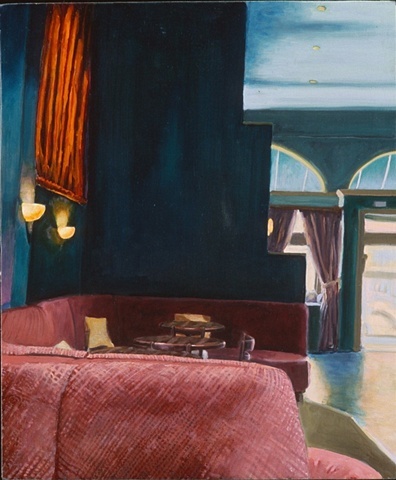 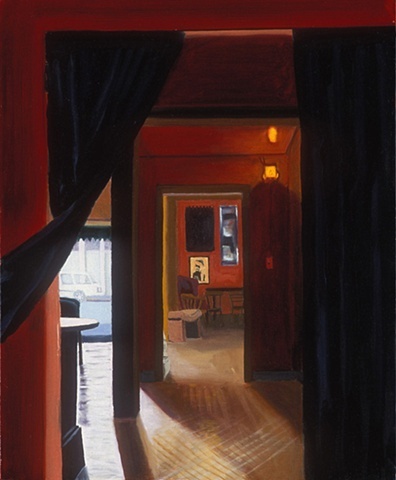 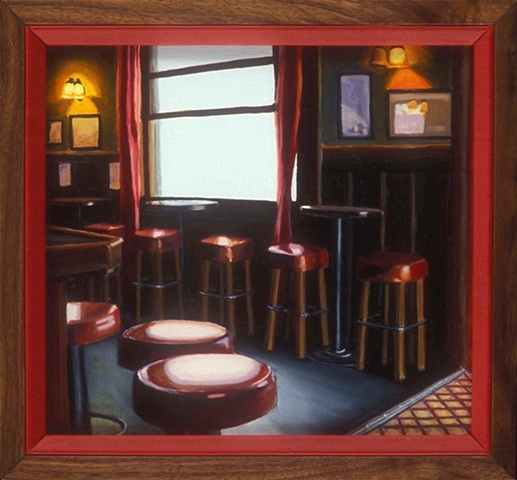 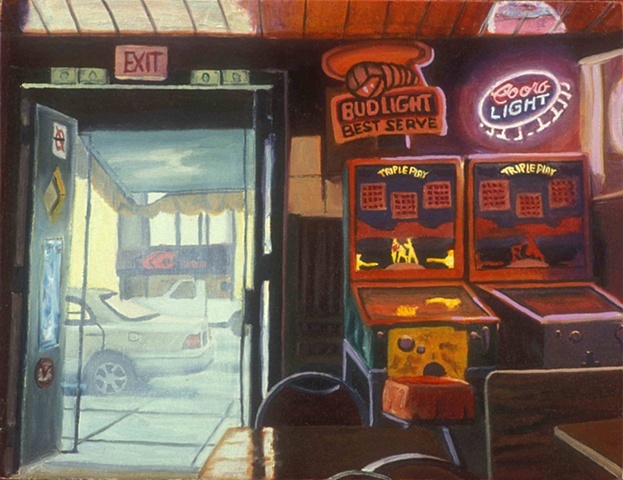 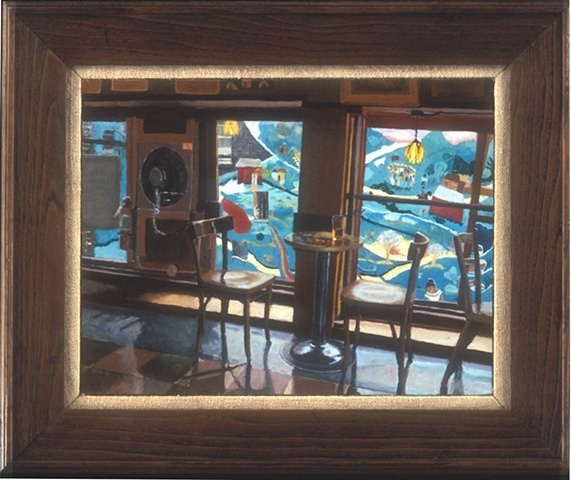 I have created a series of paintings that reflect the unique atmosphere of San Francisco bars during the daytime hours. 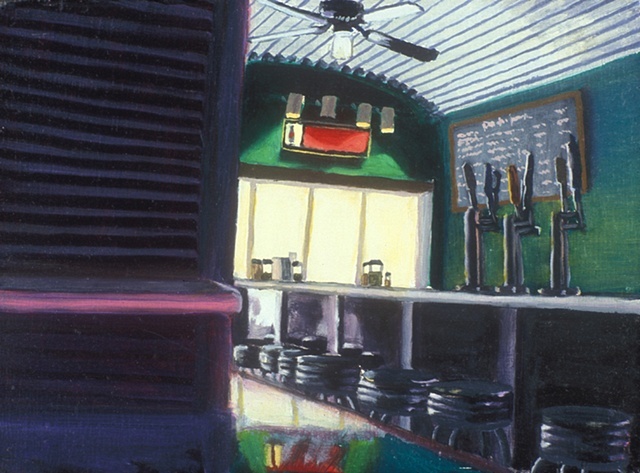 In this series, I have focused on bar interiors with the intent to capture the calm and emptiness that I found there during the day. 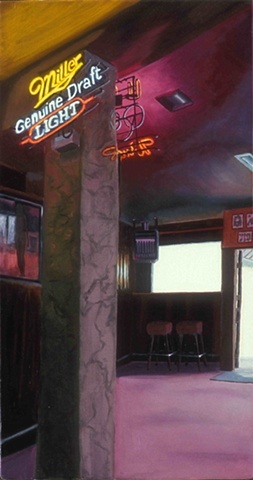 I was initially drawn to the unique light and reflections in bars during daytime, but then I realized that a deeper question was revealing itself to me: what happens to a space when you take out key elements that define its identity? 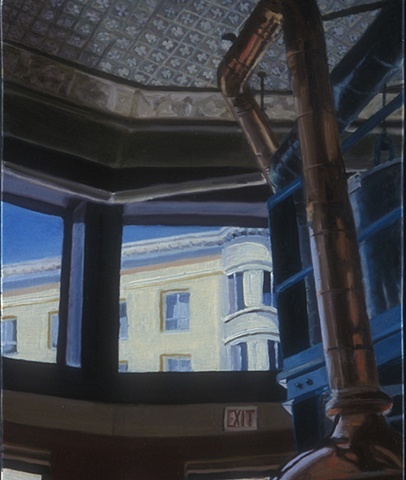 When you begin peeling off the surface layers and your own expectations, you see what is underneath and expose the raw innocence of the space. 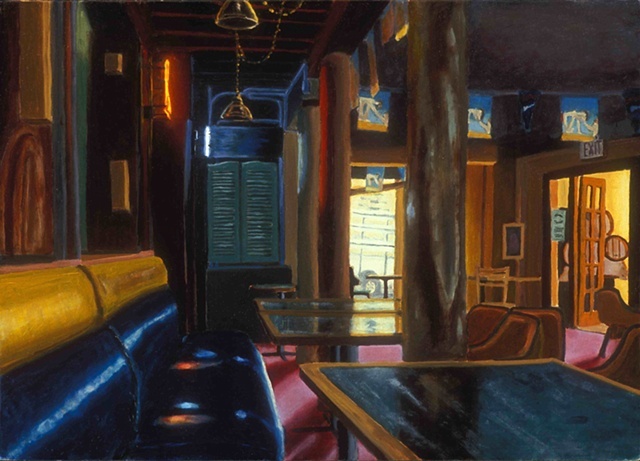 By removing the elements of night and crowds of people, I realized the bars took on the role of a sanctuary during the daytime: quiet, calm, safe and even meditative. 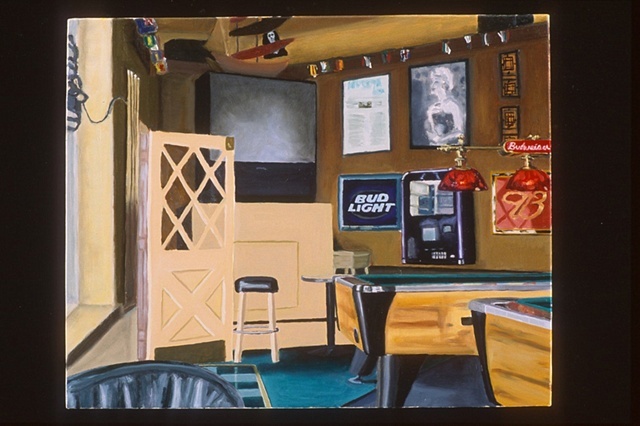 Instead of being lonely and depressing, the bars provide a safe haven where time almost stops as you reflect on the deeper meaning of the self and forget about the chaos of the outside world. 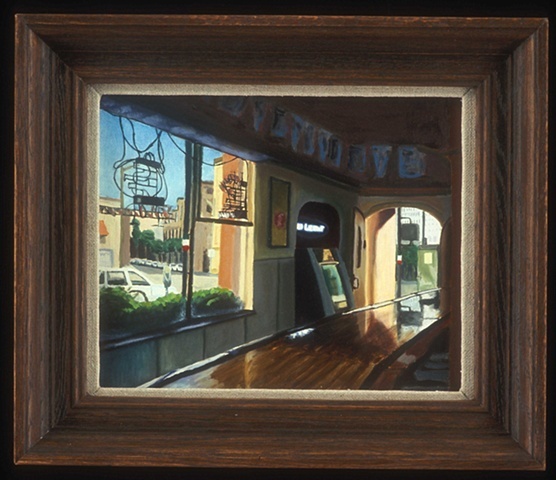 Thus, doors and windows play a central role as the borders between the outer and inner space. 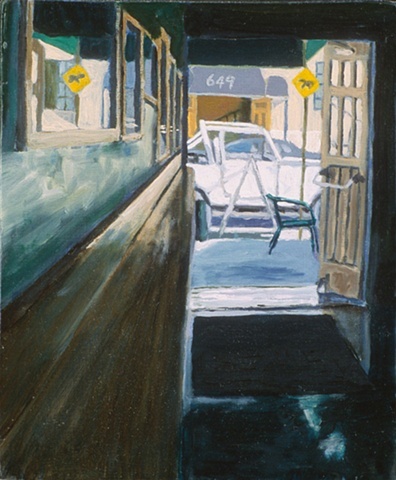 This work is intended to instill a sense of calm and peacefulness in an unexpected place.